You can enable the webserver during setup already or using the cli command. 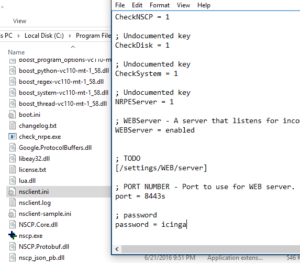 Later on you’ll need to edit the nsclient.ini with Administrator permissions inside the “[/settings/WEB/server]” section. I did have trouble with “nscp web password set=icinga”, it did not work for me. Update 2016-09-19: Michael explained that over here: “nscp web password — –set icinga”. 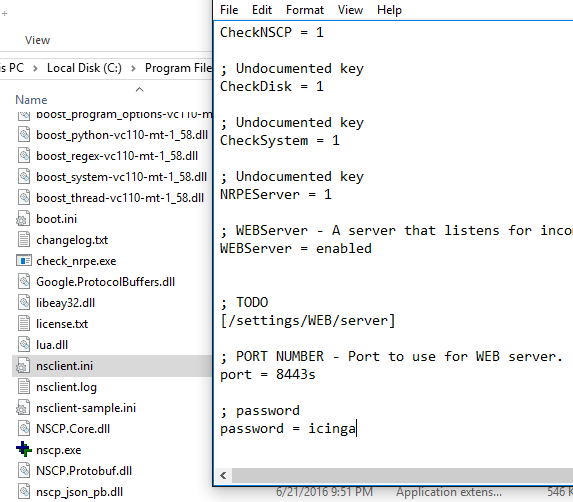 I manually edited the nsclient.ini configuration file, added the “password” entry in the “[/settings/WEB/server]” section and restarted the service using cmd.exe run as administrator. 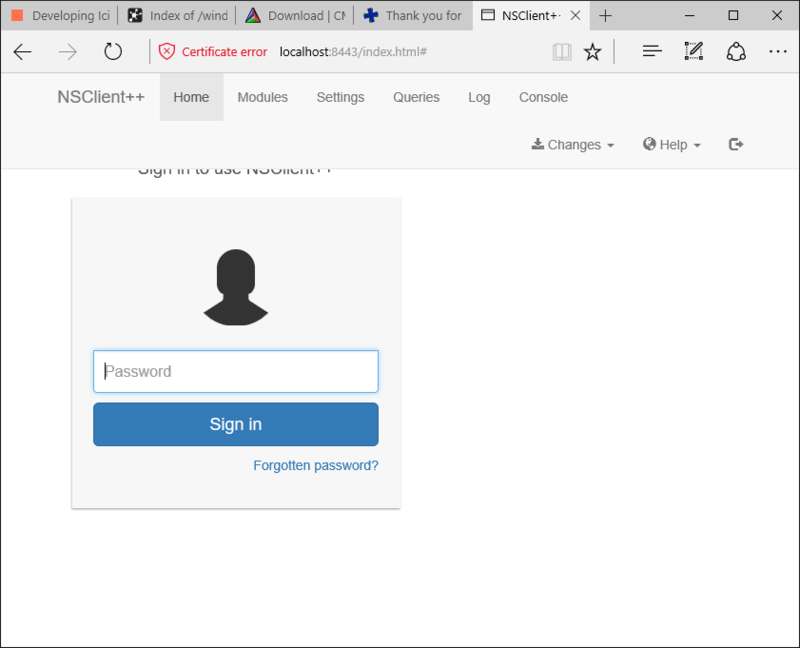 The next thing – logging into https://localhost:8443. This works in Edge as well as Chrome. Now let’s try some Queries. This failed using Edge, so I switched to Chrome. Now guess what comes next – some reverse engineering parts for running an action on that HTTP URL we’ve seen above. 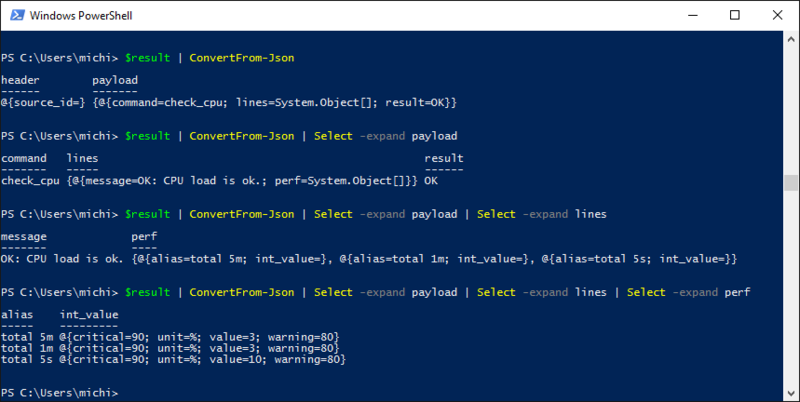 I’m pretty new to Powershell myself, so it is a hell of Googling involved here. Open the start menu and start typing “Powershell” followed by [Enter]. I stumbled over the 0.4.3 release announcement which shows a simple curl example. Now I learned how to pass the “password” token inside the header (just an auth token, no basic auth!). 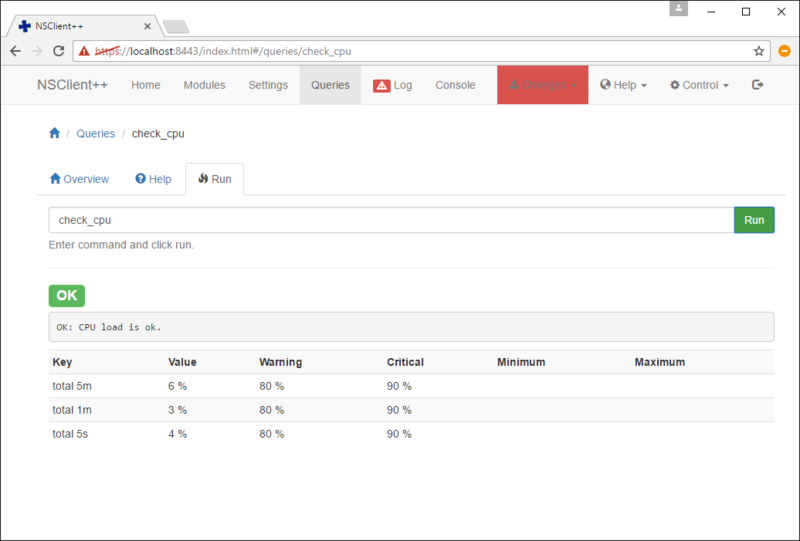 Furthermore the REST API endpoint is different to the web URL, it is “https://localhost:8443/query/check_cpu” (that’s a TODO in the NSClient++ documentation but you can extract that from the web interface itself). Add -UseBasicParsing since otherwise there’s some cryptic internet explorer engine warning. 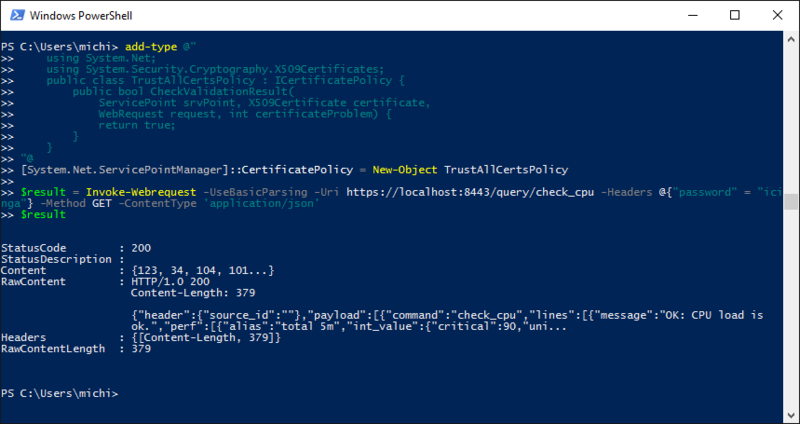 I’m also using a script local workaround to signal “Invoke-Request” that all local requests without certificates are valid (basically the infamous “-s” option of curl). 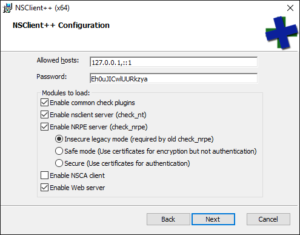 Real-life production examples should use valid certificates! 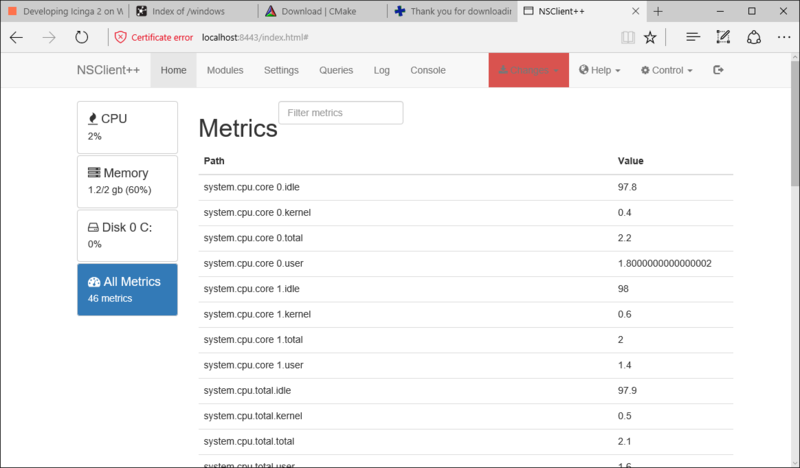 Hooray – our first REST API call to NSClient++. That requires sort of JSON parsing as well. Lucky me found this technet blog entry. Share your findings with us, e.g. on Icinga Exchange and/or on Twitter. We’ll keep you updated – kindly follow #12733 and help make a deeper integration between Icinga 2 and NSClient++ happen! I’m hoping that my reverse engineering adventure does not unveil too much for Michael’s OSMC talk on NSClient++ this year 😉 We also have the opportunity to discuss such scenarios later on the upcoming Icinga Camps in Belgrade, Stockholm, San Diego and Berlin! Update 2016-09-19: I found a crash with the most recent 0.5.62 release. Michael kindly responded that probably a different module was causing this. And voilà – checks are working again. So we can proceed with resolving #12733.